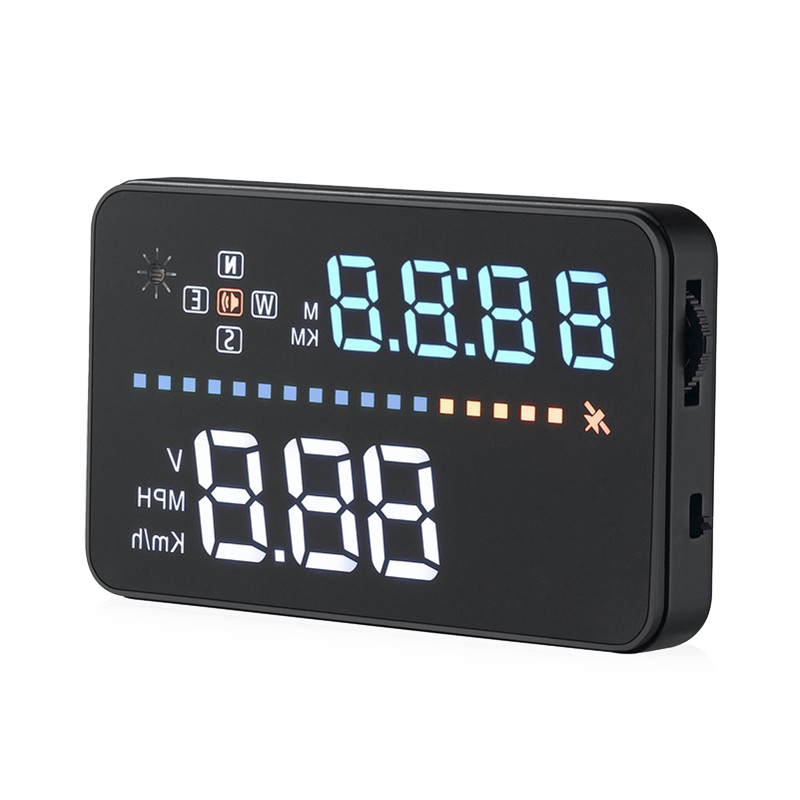 Successfully Added 3.5 Inch Car HUD A3 - ODBII, Plug And Play, Kmh And Mph, Speed Alarm to your Shopping Cart. The A3 car Heads Up Display (HUD) puts all the information you need right before your eyes. With its bright and colorful display the information is displayed clearly and in an easy to read format on your windshield, so you will feel like a fighter pilot while behind the wheel. What's more won't ever need to divert your eyes from the road to check your speed, direction or mileage.